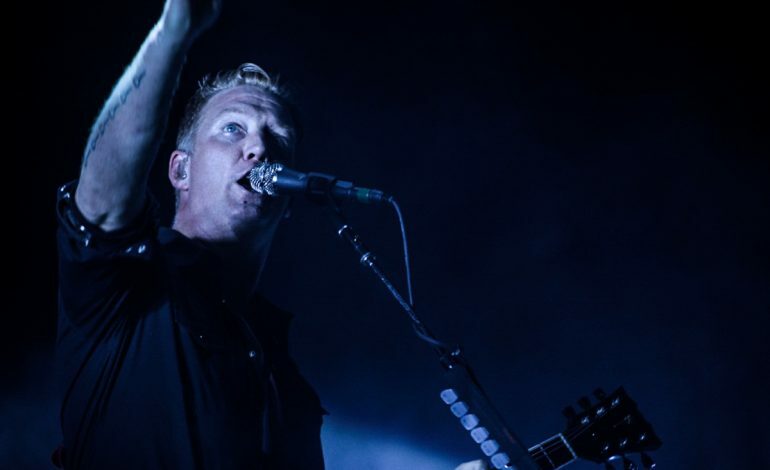 Queen of the Stone Age frontman and only consistent member Josh Homme has released a cover of the yuletide classic “Silent Night,” for the Christmas holiday season. This track sees Homme collaborate with blues guitarist C.W. Stoneking and occasional band mate and frequent collaborator Dean Fertita. While the track is only available online at the moment, it will be released as a 7-inch vinyl with a B-Side on December 14th. This B-side features him and his wife Brody Dalle doing a rendition of “‘Twas The Night Before Christmas” with their children Wolf, Orrin and Camille on the track. Pre-orders for the vinyl are available here. Earlier this year Homme officially released the track “Cruel Cruel World,” off the Red Dead Redemption II soundtrack. This game was a massive success, making the biggest opening debut for a video game ever, raking in over $725 million at its launch earlier this year. The artist has also faced his fair share of controversy this year. During the Mad Cool Festival this summer he refused to play unless fans were let into the VIP area by security. Security refused to budge, while the rest of the band kept performing, as Homme took to the stage and left. The artist has also had his fair share of positive coverage, during an interview with an anti-bullying campaign, he spoke out against homophobia, misogyny and sexism. I’ve always tried to weed the bullies out of our audience, you know, because I don’t want them there, our music is not for you. If you’re a racist, misogynist, homophobic jerk, we’re not for you, you can go,” Homme explained during the interview. Queens of the Stone Age latest release was 2017’s Villains, that served as a bit of a sonic departure for the band. This take added more rhythmic and electronic dance influenced percussion, keyboard and fuzzier guitars, that contrasted heavily with releases such as Clockwork. Despite this change in tone, Homme contends that he was happy with the new direction that the album had gone into. He explained that the only thing that mattered was that he respected the record, that helps shape his reality.